I like coincidences. Today in the New York Times there was nifty little Q and A about spider webs. The coincidence comes from the spider web that I saw in my back yard the other day. It was huge. Spider webs are everywhere this time of year and I am always getting webs in my hair or spiders crawling on my shirt, or even dangling off my face. I generally enjoy these encounters and do try to keep my eyes out for them. The other day, there was one spider I could not miss. The main body of the web was not so big. 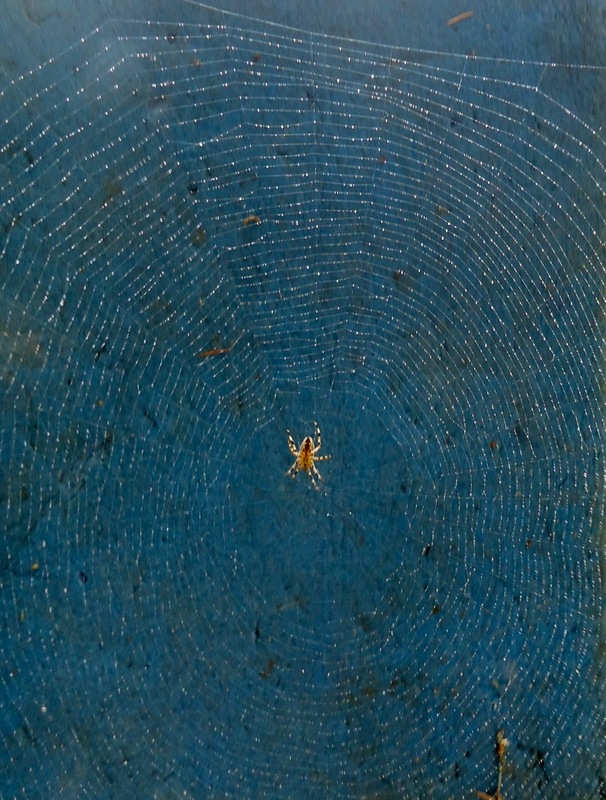 It was a classic Charlotte’s Web kind of web, beautiful in its detail and a marvel in its design. What caught my eye was the size. The web spanned an area covering more than seventy square feet. You can see it in the modified photo above. 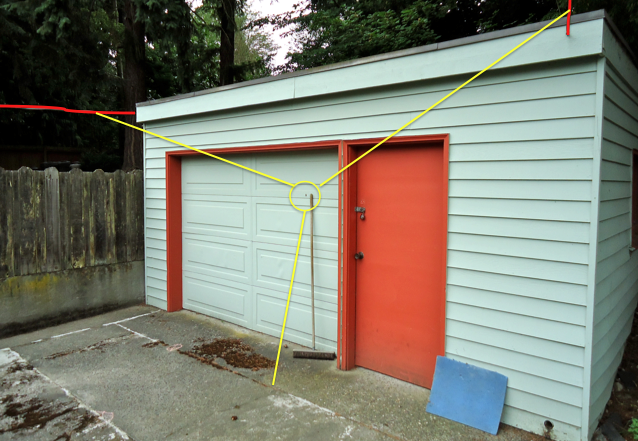 The red lines are an electrical wire and a clothes line. The yellow designates the web. 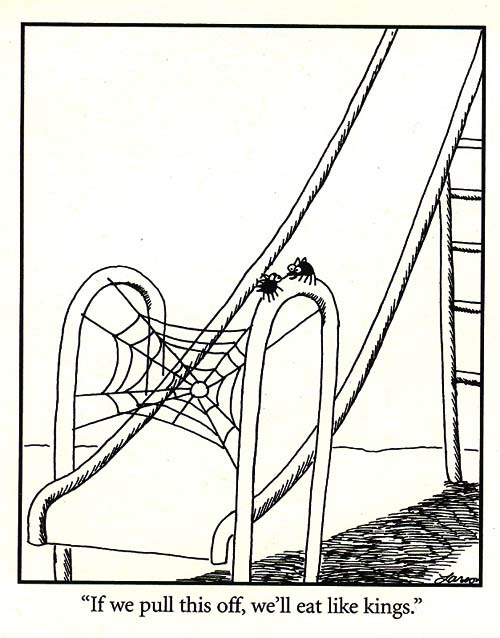 Based on the NYT article, the spider must have ballooned, or kited three bridge threads and then built the web. 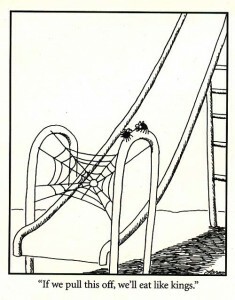 It reminded me of one of my favorite Far Side cartoons. Unfortunately someone else walked into the web and destroyed and the spider hasn’t rebuilt. Next Next post: Why rock? Why stone?